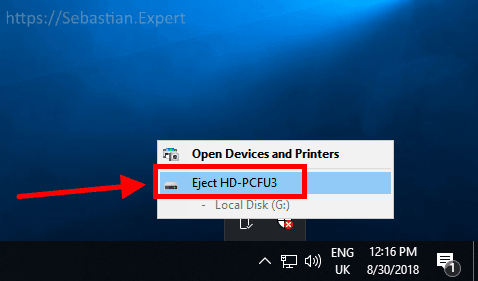 What happens when you click "Eject"? Those are results of removing drives from Windows without safely removing (ejecting) them. 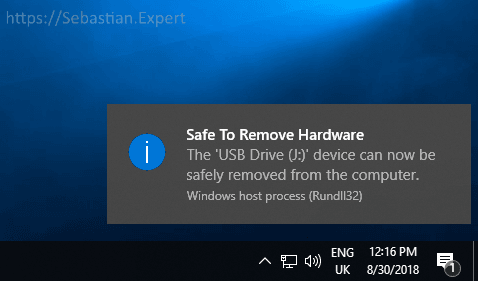 Certainly, many of you take USB disks out without disconnecting them and did not have any problems. You were just lucky. The time will come, when you least expect it, that you will remove drive during data operations and it will get corrupted. There is an option in Windows called Optimize for quick removal. It makes operating system immediately save files on disk without caching them. Sounds good right? Unfortunately, it is not entirely clear how much you can trust Windows on this plus with a little bit of bad luck you can physically remove the disk just when data operations are in progress. Remember: If you care about the data, the safest way is to always unmount (eject) the drive before removing it. System flushes all active writes to disk. System informs all programs (that know how to be informed) that the disk is going to be removed, and to take proper actions. Shows warning when programs have failed to take action and still are holding files open on that drive. Shows confirmation when programs have released all files on that drive. Here I will present you 4 ways how you can eject disk. They all of them work the same. You can use any of them - which one suits you. Expand hidden icons in tray by clicking expand icon. Click icon Safely Remove Hardware and Eject Media. 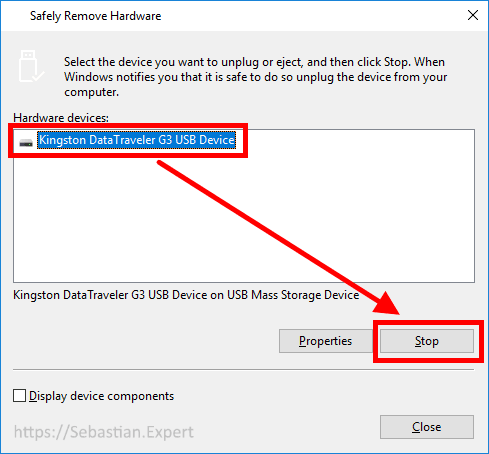 Click on drive you want to eject. Wait for the confirmation window. When you see it, you can safely remove drive. 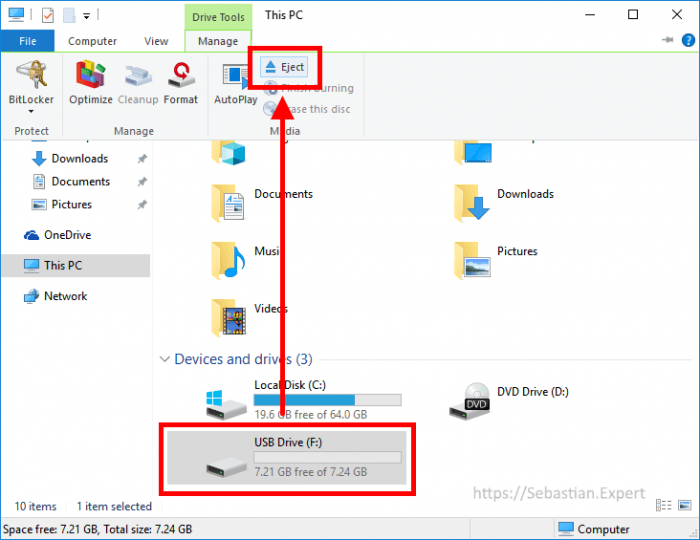 Right click (right mouse button) on the drive you want to unmount. 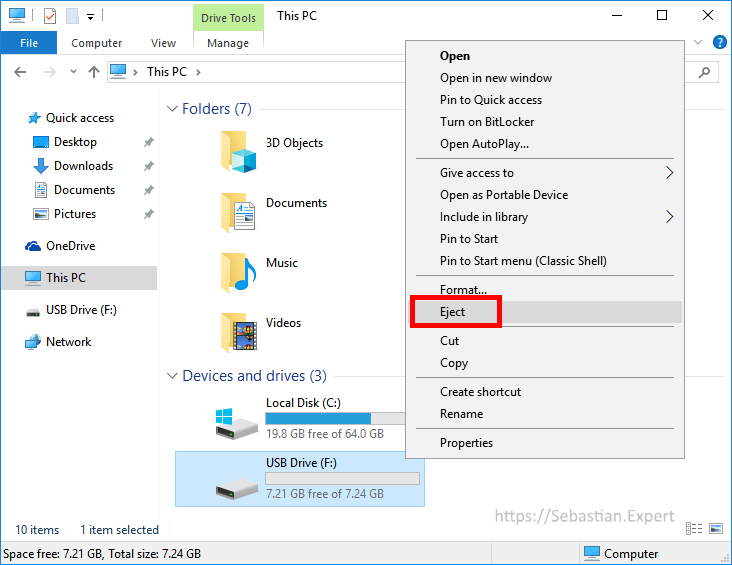 Click Eject from the context menu. Wait for the confirmation window. Select disk you want to unmount. Click Eject button in Manage top bar. This doesn't work on Windows 10 any more. The window will be shown but any attempt to eject disk will end with error. The ‘Device Name’ device is not removable and cannot be ejected or unplugged. Execute one of those commands in run box. You also can easily create shortcut for them if you use them often.